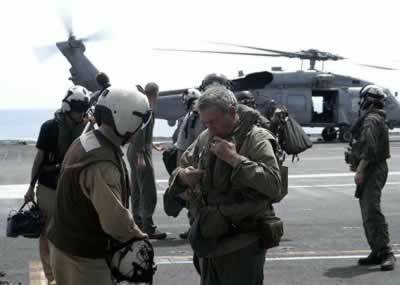 Indian Ocean (Jan. 3, 2005) – CBS Anchorman Dan Rather and his news crew return to the USS Abraham Lincoln (CVN 72) after touring the island of Sumatra, Indonesia. 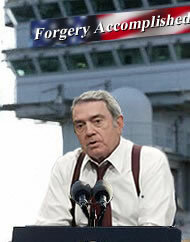 Now some find this picture of Dan Rather rather ironic especially considering all the flak that President George W. Bush got for landing in a flight suit when landing on the exact same carrier. I also wonder if all VIPs now wear a flight suit? As a crewmember of four different carriers at times I flew on and off via a helo. I only wore my normal uniform along with a flight helmet and life vest. Even the one time I landed via a C1A it was the same routine. Normally this was all I would ever see VIP wear when landing onboard except in the case where someone came onboard via the backseat of a jet. What seems to have missed the pundits attention is the following picture taken during a speech Dan Rather gives to the crew of the TR. Of course the sign is also in Times New Roman. Ya know, come to think of it I don’t *ever* remember seeing anyone but flight crew in flight suits – VIP or otherwise. 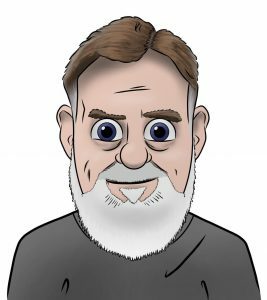 Jeff – thanks for helping me crack a smile, usually when I needed it most!